YEREVAN (Arka)—Armenia’s lawmakers gave their approval to two agreements signed with Russia that aim to prolong the operation of Armenia’s Metsamor Nuclear Power Plant through the provision of loans and grants. In December 2014, Russia and Armenia signed a cooperation agreement to extend the life of the second unit of the nuclear power plant until 2026. On February 5, the countries signed another agreement, under which Russia will lend $270 million to Armenia and provide $30 million as a grant. Areg Galsean, deputy energy and natural resources minister, presenting the matter to the legislators, said the loan will be extended for 15 years with a five-year grace period and at 3 percent annual interest rate. The agreement also allows lending in Russian rubles. “The loan will be repaid from the money received from the plant-generated electricity sales,” he said adding that this will drive utility prices up by 2.5 dram per kilowatt-hour in Armenia. The reconstruction is planned to be launched in spring 2017 and it will last approximately six months. Russia has also expressed willingness to contribute to the new unit construction that is estimated to cost $4.5 billion by providing equipment. 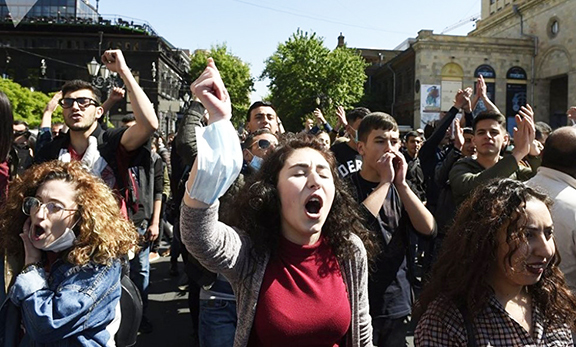 Armenia expects to receive some financial assistance from other countries as well. The Armenian Nuclear Power Plant is located some 30 kilometers west of Yerevan. It was built in the 1970s but was closed following a devastating earthquake in 1988. One of its two VVER 440-V230 light-water reactors was reactivated in 1995. The plant currently generates some 40 percent of Armenia’s electricity. Experts say the plant can operate until 2016. The European Union insists on termination of the nuclear power plant entirely. Nepal quake raises certain concerns about where and when the next one would happen. There is a degree of likeliness that 108 days after April 25 – on August 12-15 or later on, an earthquake could occur in the region where Armenia is located. It would be wise to consider the consequences. Of course the EU wants this plant shut down. It makes Armenia nearly energy self sufficient and helped Armenia make it through the blockades of the 1990s. With it shut down , the EU would be in prime position to offer up more loans to “build a new one”.